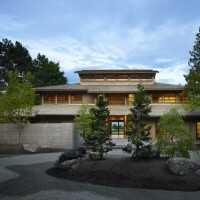 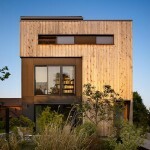 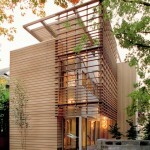 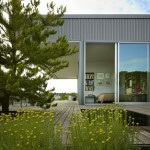 Sullivan Conard Architects have designed the Engawa House in Seattle, Washington. 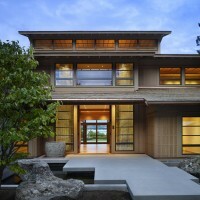 Engawa House can best be understood in its multiple contexts: lakefront site, Pacific Rim city, timber-industry clients open to materials that speak simply but poetically of shelter and home. 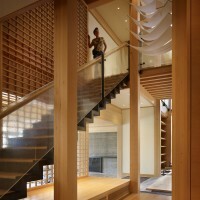 At its heart is the “light core,” a vessel-like structure rising to a clerestory, illuminating the house and organizing its circulation patterns. 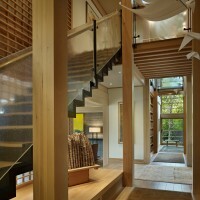 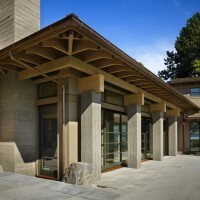 Timber-framed in hemlock—a reference to the owners’ long involvement with Northwest woods—the light core acknowledges its source in Japanese architecture, also expressed in the structure’s horizontal banks of windows, screening devices of glass and lattice, and the engawa itself, a south-facing veranda edge between interior and garden. 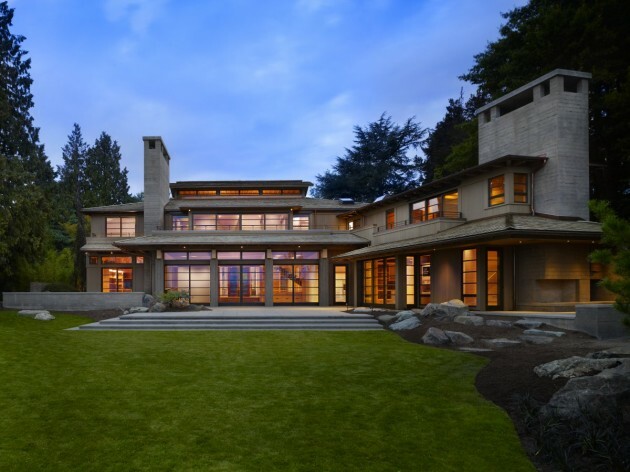 Engawa House’s spare detailing allows materials to speak of themselves, of the art of construction, and of a creative process marked by owner, architect, and craftsmen finding stillness amid the complex demands of house design and construction. 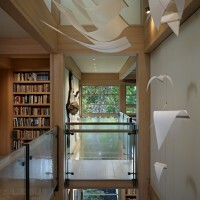 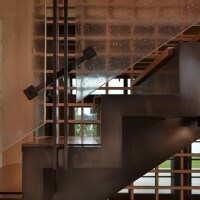 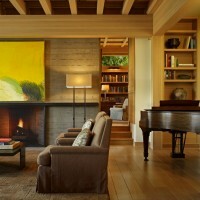 Visit the Sullivan Conard Architects website – here.